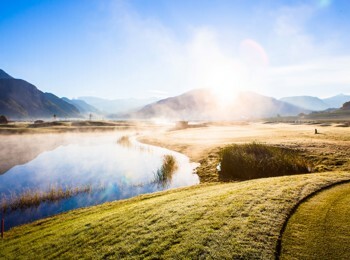 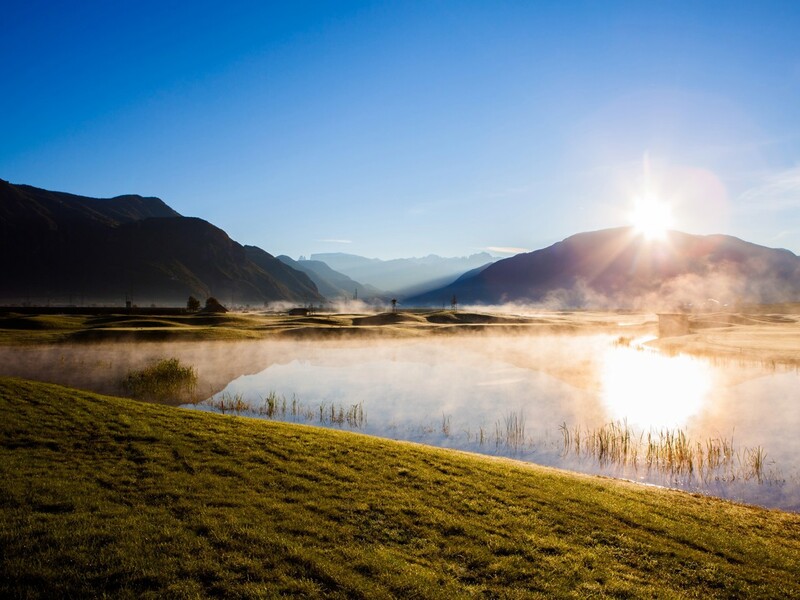 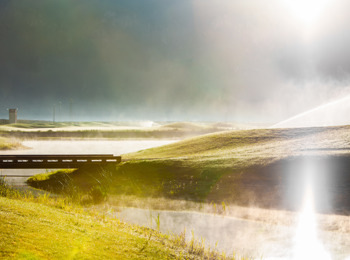 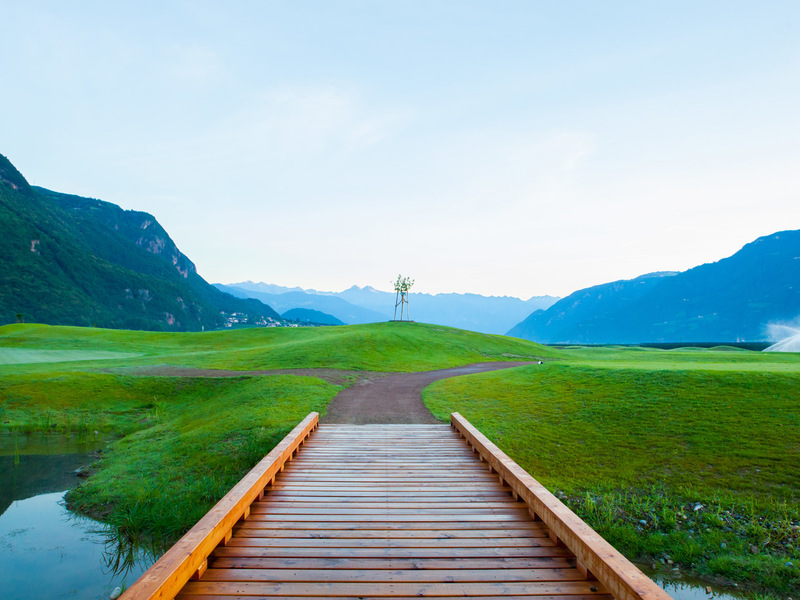 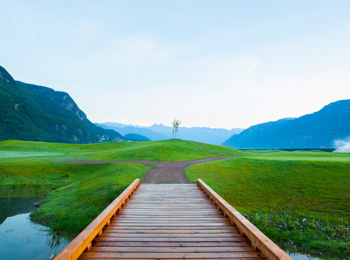 Not for nothing, the 9-hole course of Eppan golf club is called The Blue Monster: It is characterised by variety of water obstacles, located near Lake Kaltern and the Lakes of Montiggl – popular South Tyrolean bathing lakes. 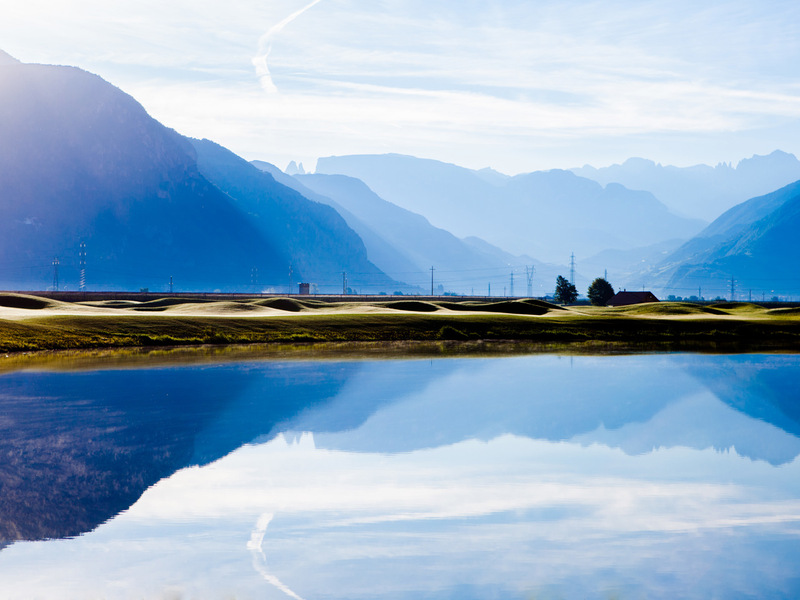 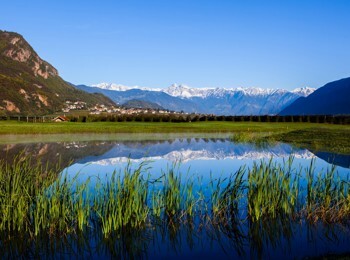 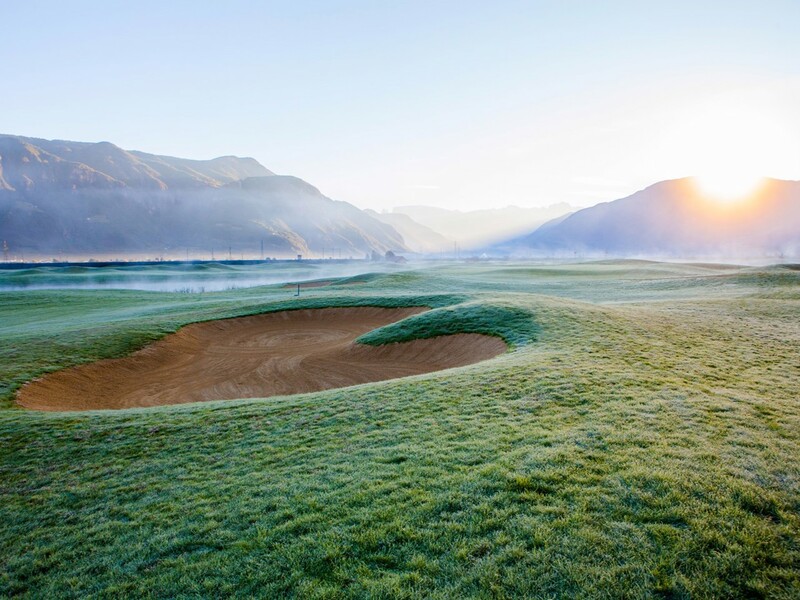 Arriving from Bozen or Meran, the flat 9-hole golf course near the village centre of Eppan on the South Tyrolean Wine Route is easily accessible. 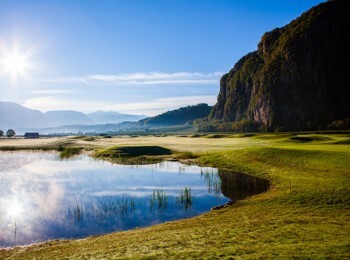 Countless small lakes and rivers offer attractive challenges for golfers. 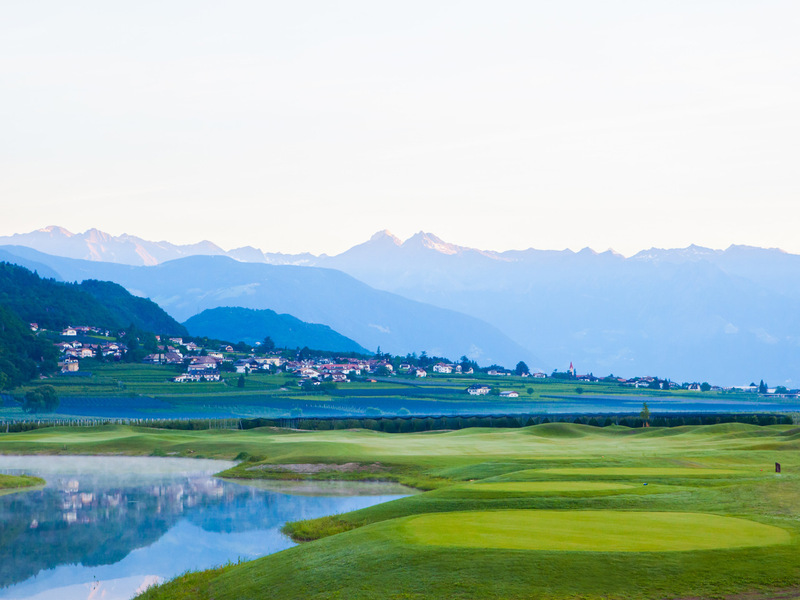 Thanks to different tees, the golf course in Eppan is also ideal for less experienced players. 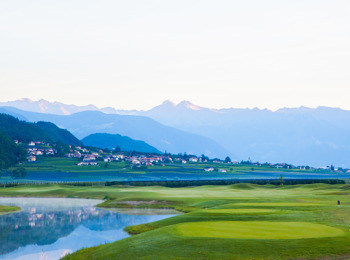 For practice, there are a putting and a pitching green and the nearby Freudenstein golf club has a good training centre with golf school and driving range. 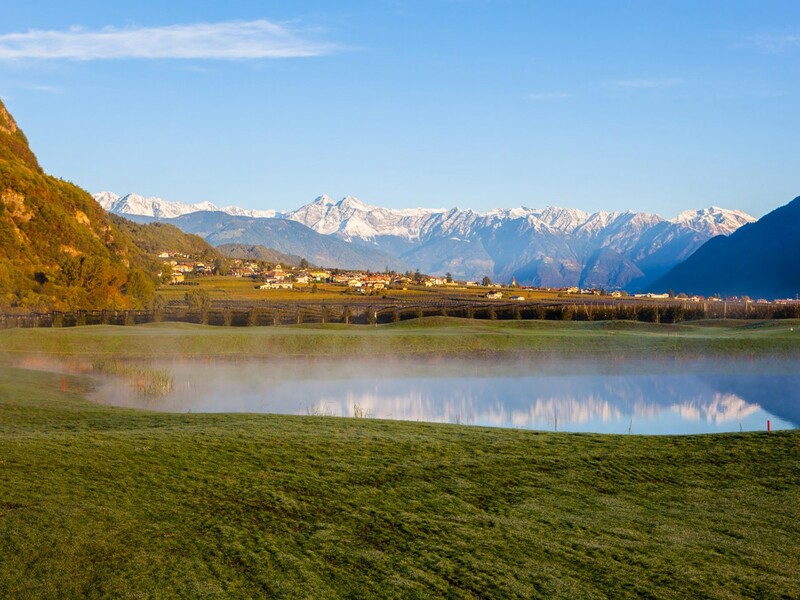 The stylish restaurant spoils guests with an excellent cuisine and multifaceted view from the terrace: Fruit orchards and vineyards, the romantic Hocheppan Castle and the mountains in the background form a fantastic scenery. 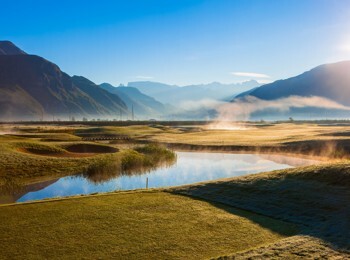 Thanks to the mild climate in Southern South Tyrol, the golf season lasts from February until December.